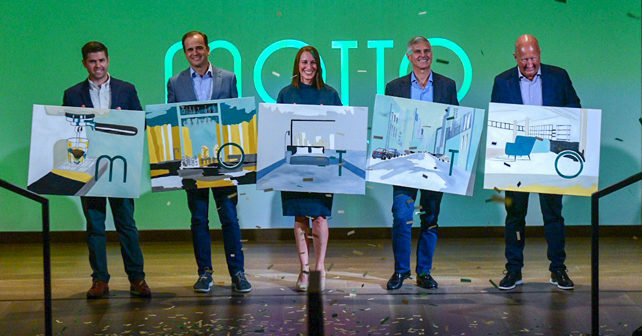 Hilton celebrated Motto’s launch at an event held at its Innovation Gallery in McLean, VA.
MCLEAN, VA—In an event held at the company’s Innovation Gallery here, Hilton launched its 15th brand: Motto by Hilton. Calling the brand a “micro-hotel with an urban vibe,” Hilton created Motto after evaluating the emerging lifestyle hostel model globally to understand the opportunity to enhance the shared-room concept. But, as it turns out, the company’s research found that travelers who choose to stay in hostels don’t usually do it for the opportunity to meet and room with strangers—often, they’re booking these spaces with a group of friends or members of their family. And while hostels may have a reputation for being the accomodation of choice for the younger generation—think college students studying abroad or recent graduates enjoying a gap year—the brand isn’t targeting any specific generation. Guests have the ability to link up to seven rooms among the brand’s room types.. Guests can link up to seven rooms among the brand’s room types: a queen bed with a bunk bed above it; a wall-hung system bed; or a queen bed. “It gives them the ultimate flexibility in how they use the space,” he said. The rooms also have segmented shower and toilet stalls and multifunctional furniture that can be discreetly stowed when not in use. They will also have Hilton’s Connected Room technology—which will allow guests to control features in their room (temperature, lighting, TV, window coverings, etc.) from their Hilton Honors mobile app. Guests will also have the availability to split payments between more than one person at the time of booking. 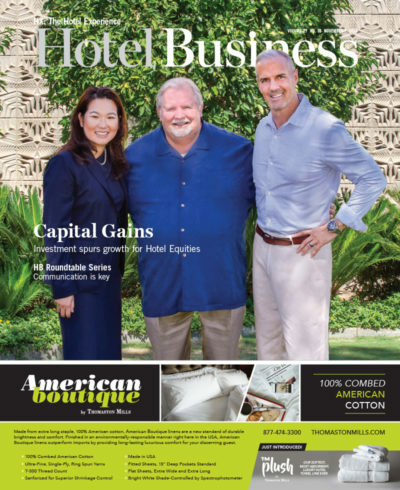 Motto by Hilton’s F&B offerings will include fare tailored to the specific market. There will also be a wellness room—approximately 300 sq. ft.—with cardio equipment and floor space. “That’s an expectation today,” he said. 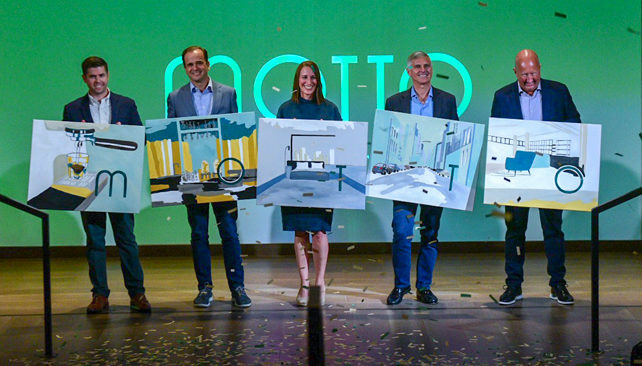 Motto already has deals in various stages of development in destinations around the globe, including Lima, Peru; Dublin; Savannah, GA; San Diego; Boston; and Washington. Construction will start in January 2019 on the 100-bed Motto by Hilton in Marylebone, London. The property is being developed by U.K.-based Dominvs Group, and is targeting a 2020 opening.